The Moskito Kakoon Hammock is a new take on a popular item. Now with a new hanging system, flexible fiberglass rods for the netting and double-fold triple stitching, the Moskito Kakoon improves upon the Moskito Traveller Hammock and makes it a stronger, more durable and more effective way to keep insects from spoiling a good night’s rest. User feedback contributed directly to some of the Moskito Kakoon’s new features. We’ve gone from keeping you free and clear of irritating bugs to keeping you free and clear of irritating bugs while also providing the on-the-job performance you’ve come to expect from Byer and the Amazonas hammock line. 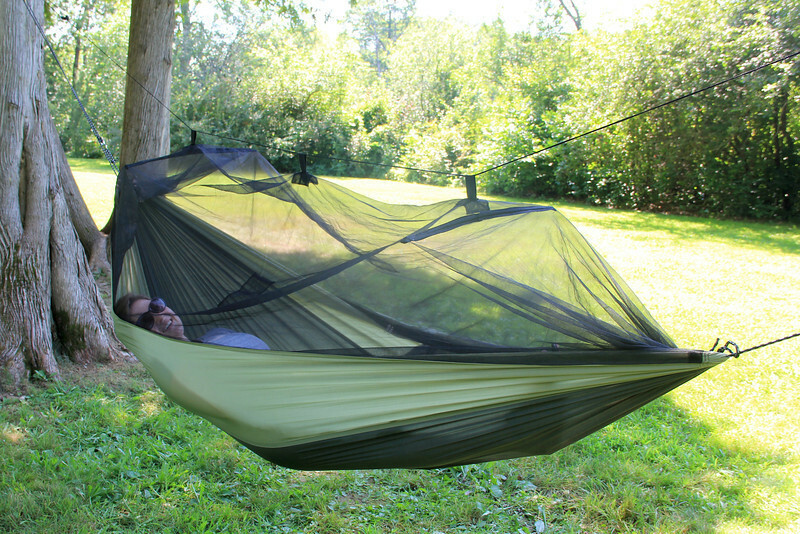 The new Moskito Kakoon supports up to 250 pounds, and it has convenient spreader rods for the netting to do a better job of keeping the netting off your body while you rest. Strong elastic tabs work with the spreader rod to support weight while not sacrificing overall durability and improving wear. The Moskito Kakoon packs into a convenient carrying pouch, making it easy to pack in your weekend gear and take with you wherever — and during whatever time of year — you decide to hit the great outdoors. New slender packing pouch for easy packing.